A certified nutritionist will work with clients who desire to eat a healthier diet in order to lose weight or improve their overall health. The job of the nutritionist is to plan meals that can provide people with the proper nutrition based on their specific needs, such as diabetes or high cholesterol. As a nutritionist you can work in hospices, with patient’s suffering from terminal illnesses, hospitals, private practices, nursing homes or you can run your own business. As a nutritionist you can find accredited certificate programs through colleges, vocational schools and online universities that will allow you to obtain credentials in four different specialty areas. The specialty areas for this profession include: community nutritionist, nutrition education, food and nutrition and sports nutrition. A community nutritionist will work in health clinics, home health agencies and health maintenance organizations. This position requires the nutritionist to counsel adults, children and the elderly, individually or in large groups regarding food preparation and how to promote health and prevent disease. The community nutritionist will have a salary range of 42,000$ to 44,000$ a year. The nutrition and education specialty programs are designed for professionals that have intentions of working in a gym, weight control clinic or health club. This type of program features coursework in anatomy, physiology, principles of food and nutrition therapy. The nutrition and fitness certificate programs feature coursework that teaches the relationship between routine physical activity and good eating habits. Some of the coursework in this program will cover injury prevention and fitness activities. Food and nutrition programs focus on the relationship of overall health in conjunction with a good diet. 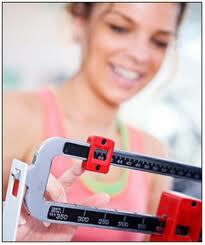 This program includes courses in how to develop nutritional plans and diet therapy. A sports nutrition program will teach students the importance of how to blend nutrition and exercise knowledge and will cover topics in human metabolism and weight management. These certificate programs are intended to further a nutritionist’s knowledge in the aforementioned specialty areas and are offered at a college level. These programs vary in length and can take six to 12 months to complete. A salary for this field can be increased by four to six thousand annually with the additional training. There is in-class and online programs available for the four year bachelor’s or two year associate degree in Nutrition and Health Sciences. These programs offer courses in anatomy, nutrition, biology, administrative skills, physiology, community nutrition, food science, chemistry, nutrition science principles and ethical and leadership skills. The certification requirements will vary from state to state and may require the nutritionist to obtain a state specific license or national registration through the American Dietetic Association, or ADA by taking and passing the ADA exam. Currently the majority of states will not require the nutritionist to become certified for this type of position, however, there are organizations that have been created, such as the ADA that have banded together to offer those that have obtained formal training in the dietary and nutrition field to be able to earn certification and have the nutritionist education programs regulated in order to ensure that all students enrolled in degree programs are provided with the upmost knowledge that can prepare them for a career as a nutritionist. The license for this field will need to be renewed annually and will require the nutritionist to provide proof of fifteen hours of continued education. Hours can be earned online through the ADA or through each individual’s state board for nutritionists. Courses offered include: weight management, prostate health, basic hygiene, surviving stress through the proper diet and cancer management. With a degree in nutrition you can work as a personal trainer, weight loss consultant, weight management counselor, health educator, family nutritionist, home nutritionist consultant and clinical dietician. During enrollment in a degree program you will work as an intern in a hospital, which will provide you with a better understanding of nutrition management. To qualify for an internship the individual will need to be currently enrolled in an ADA approved program, complete clinical rotations in nutrition support for the elderly, provide letters of reference and submit an essay regarding your career objectives, client evaluation methods and goals. Before a student can begin working as an intern they will need to provide proof of vaccinations, including documentation for tuberculosis testing within the past year. The internship program allows the student to assist a certified nutritionist as they work with patients, discussing a patient’s eating habits, healthier food options and personal goals. 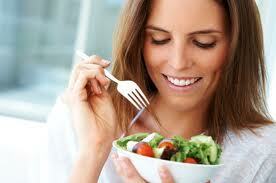 According to the U.S. bureau of Labor Statistics, the average annual wage for the nutritionist is 54,000$ as of 2011. The growth rate for the certified nutritionist is said to increase by 20% in the next eight years, which is faster than the average occupation growth. How many specialty certifications are available for the nutritionist? Which organization is designed to regulate the nutritionist education programs? According to the U.S Bureau of Labor Statistics by what percentage is the nutritionist field said to grow by? When does the nutritionist need to renew their licensure for this field?